Commercial shellfish growers depend on good water quality data. The more information they have about temperature, chlorophyll levels, salinity, turbidity, and dissolved oxygen, the better decisions they can make about managing their mariculture operations. To address this issue, three National Estuarine Research Reserves (NERR) in Alaska, Washington, and Oregon have partnered with NANOOS on this pilot project to bring real time water quality data to shellfish growers. The project was coordinated by the Padilla Bay NERR in Washington, which is part of the Washington State Department of Ecology. The nine monitoring sites in Washington are operated by the Padilla Bay National Estuarine Research Reserve, the University of Washington’s ORCA (Oceanic Remote Chemical-Optical Analyzer) project, the Department of Ecology, and the Pacific Shellfish Institute. The Reserve sites are located near Bayview; the three ORCA sites are located in the Hood Canal near Twanoh, Hoodsport, and Dabob Bay; the Ecology sites are located near Squaxin Passage, Clam Bay and Willapa Bay (Bay Center); and the Pacific Shellfish Institute site is located near Bay Center in Willapa Bay. The two sites in Oregon are operated by the South Slough National Estuarine Research Reserve. They are located near Valino Island and Charleston. The monitoring sites in Alaska are operated by the Kachemak Bay National Estuarine Research Reserve. They are located near Homer and Seldovia. Technical assistance for this project was offered by the Pacific Coast Shellfish Growers Association and the Pacific Shellfish Institute. The University of Washington’s School of Oceanography is providing water quality data from buoys located in Hood Canal (ORCA Project). Original funding for the seed project that pre-dated this NVS Shellfish Growers web application was provided by the National Oceanic and Atmospheric Administration (NOAA) through their Coastal Services Center, the National Estuarine Research Reserve Association (NERRA), and the Centralized Data Management Office. That project evolved into this current site, which was developed with and is sustained by funding from NOAA Integrated Ocean Observing System (IOOS) to its regional association NANOOS, the Northwest Association of Networked Ocean Observing Systems. NOAA's National Ocean Service supports the U.S. Integrated Ocean Observing System (IOOS) program office that provides funds to develop and support this portal. U.S. IOOS is a vital tool for tracking, predicting, managing, and adapting to changes in our ocean, coastal and Great Lakes environment. U.S. IOOS delivers the data and information needed, so that decision-makers can take action to improve safety, enhance the economy, and protect the environment. Some of the datastreams served through this portal are supported by the NOAA Ocean Acidification Program (OAP). Original funding for the seed project that pre-dated this NVS Shellfish Growers web application was provided by NOAA’s Coastal Services Center (CSC). The National Estuarine Research Reserve System (NERRS) is a network of protected areas established for long-term research, education and stewardship. Water quality data is collected system-wide in the estuaries. Supporting NERRS and the original project seeding this portal is NERRA, dedicated to the protection, understanding, and science-based management of our nations estuaries — the valuable areas where river meets the sea. The Northwest Association of Networked Ocean Observing Systems (NANOOS) was established to address the ocean observing and prediction needs of users in the Pacific Northwest.  The Pacific Shellfish Institute (PSI) was formed to develop and disseminate scientific and technical information of value to the general public, shellfish farmers, and public officials in connection with shellfish-related environmental, and animal/human health and safety issues. The Pacific Coast Shellfish Growers Association is the largest shellfish association in North America. They represent the local, state and federal interests of oyster, clam, mussel, scallop and geoduck growers from Alaska, Washington, Oregon, California and Hawaii. The following information covers general ranges. Elevated water temperatures are associated with increased mortalities. They also signal possible spawning and can trigger the outbreak of a bacterium, Vibrio parahaemolyticus, which can cause stomach and intestinal illness in people who eat the infected shellfish. In the summer, normal temperatures range from 45 to 80 degrees Fahrenheit. If the temperatures surpass 64 degrees for more than 24 hours, this is cause for concern. In the winter, normal temperatures range from 38 to 50 degrees Fahrenheit. Low salinities over a long duration can weaken and/or kill shellfish. Shellfish’s resistance to low salinities decreases with increasing water temperatures. In the summer, normal salinity levels range from 5 to 32 psu (practical salinity units). If the salinity levels fall below 10 psu for more than 48 hours, this is cause for concern. In the winter, normal salinity levels range from 5 to 30 psu. If the salinity levels drop below 5 psu for more then 48 hours, this is cause for concern. Very low dissolved oxygen levels will weaken or kill shellfish. High levels are reported to cause "gas bubble" disease. In the summer, normal DO levels range from 85 to 140+ percent saturation. If the levels fall below 20% saturation or rise above 115% saturation for more than 24 hours, this is cause for concern. In the winter, normal DO levels range from 45% to 100% saturation. Resistance to elevated turbidity varies with species, with oysters being most resistant; very high turbidity will reduce feeding rates and growth. Normal levels range from 0 to 200 NTU (nephelometric turbidity units). If the turbidity level rises above 50 NTU 24 hours, this is cause for concern. Chlorophyll is the main type of photosynthetic pigment that nearly all phytoplankton use to capture energy from the sun. Thus, the concentration of chlorophyll is typically used to indicate the relative amount of phytoplankton available. Bivalve shellfish require sufficient phytoplankton to sustain growth, so very low levels of in situ chlorophyll indicate reduced growth potential. Typical chlorophyll levels range from 2 to 60 µg/l (micrograms per liter) but vary much seasonally. If the chlorophyll levels drop below 5 μg/l for more than 72 hours, this may be a cause for concern. The most accurate way to measure the chlorophyll concentration of a water sample is through a time consuming lab extraction and analysis procedure. A rough estimate of relative chlorophyll concentration may easily be made, however, using automated in situ sensors that measure the total fluorescence of the water. Chlorphyll emits light (fluoresces) when it is hit with UV radiation. Thus the amount of flourescence in the water can be taken as an index of the local chlorophyll concentration and, most importantly, can be reported in real time. Low or high pH levels are unusual in marine waters, but can indicate a serious water quality issue associated, for example, with reduced dissolved oxygen, elevated ammonia levels, etc. Normal pH levels range from 7 to 9. If they drop below 7 or rise above 9 for more than 12 hours, this is cause for concern. The Centralized Data Management Office (CDMO) is housed at the North Inlet-Winyah Bay NERR in South Carolina. It was established in support of the National Estuarine Research Reserve's (NERR) System-wide Monitoring Program (SWMP) that is currently implemented at 27 reserves in the US and Puerto Rico. Click here for current and historic data. The Oceanic Remote Chemical Analyzer (ORCA) is an autonomous moored profiling system providing near real-time data streams of water and atmospheric conditions. There are currently 4 ORCA mooring systems deployed, all in Hood Canal, in Washington State. The Kachemak Bay Research Reserve is the only fjord in the National Estuarine Research Reserve System (NERRS). It is 365,000 acres in size which makes it the largest reserve in the reserve system. The reserve includes a team of researchers, educators and support staff working to develop a better understanding of ecological processes in the Gulf of Alaska. Emphasis is on Lower Cook Inlet and Kachemak Bay. In 1999, Kachemak Bay was designated as part of the National Estuarine Research Reserve System. Padilla Bay Research Reserve encompasses over 11,000 acres of estuarine tidelands. It is located at the saltwater edge of the the Skagit River delta and has one of the largest continguous eelgrass beds on the lower mainland. In 1980, this bay was selected to be included in the National Estuarine Research Reserve System. Like other reserves, Padilla Bay NERR is dedicated to education, research, and long-term water quality monitoring. South Slough Research Reserve encompasses a mixture of open water channels, tidal and freshwater wetlands, riparian areas, and forested uplands. The 4,771 acre reserve supports and coordinates research, education, and stewardship programs which serve to enhance a scientific and public understanding of estuaries and contribute to improved estuarine management. The reserve was designated in 1974 as the first reserve in the National Estuarine Research Reserve System. The Farm Aquaculture Resource Management Model is being developed for use in the European Union to develop and maintain sustainable estuaries and coasts. It helps farmers in coastal and estuarine waters determine the appropriate shellfish density for optimal carrying capacity (the greatest sustainable yield of market-sized animals within a given time period). The simulation model is available on this website for anyone to use.